Be on the road in 10 Minutes or Less! 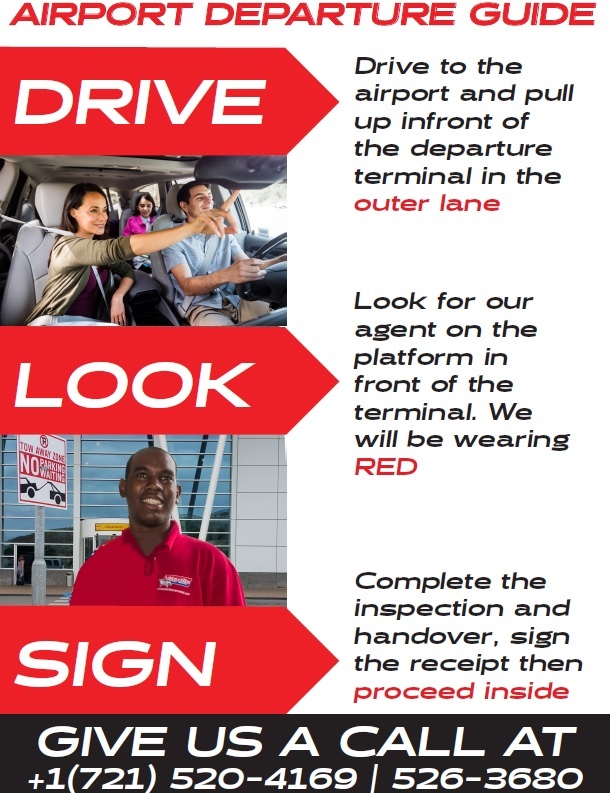 Upon arrival on St.Maarten/Saint.Martin we will be waiting outside the Arrivals Terminal waiving a “Starlite Pick-Up Service” signboard to make it easy for you to identify us. Once you exit the arrival hall you will find us waiting outside to welcome you. For customer staying at the Belair Beach Hotel you are given your keys to your vehicle and off you go to the hotel. Once, you arrive at the hotel our onsite agent will complete your paperwork and conduct an inspection of the vehicle using the inspection form already placed in your vehicle indicating all the damages. If you wish to be driven, be sure to request this service during the booking process. Once requested, upon arrival you will be driven to your hotel. Note this service is only available to renters staying at the Belair Beach hotel. 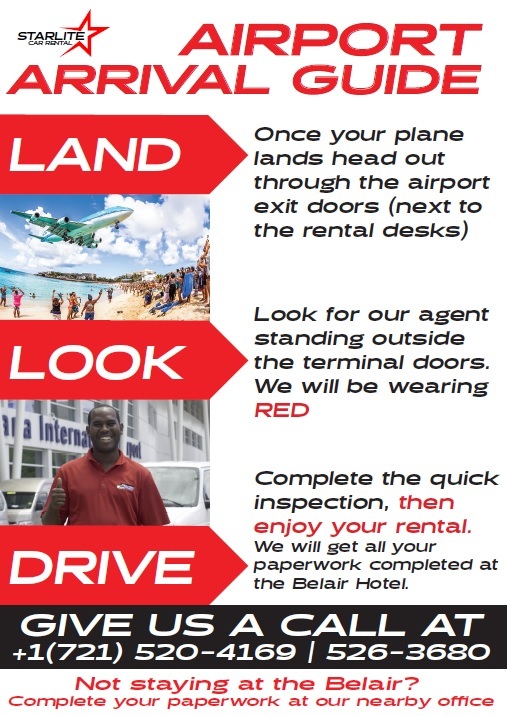 For renters not staying at the Belair Beach Hotel you will receive your vehicle at the airport however, a quick five minute stop at our Simpson Bay office will be required to complete the vehicle registration. What makes Starlite different is we offer a direct terminal return. Say goodbye to cabs and shuttle rides back to the airport. If you are traveling out on a late flight back home you have until 7:00 pm to return your vehicle at the airport in front the departure terminal.